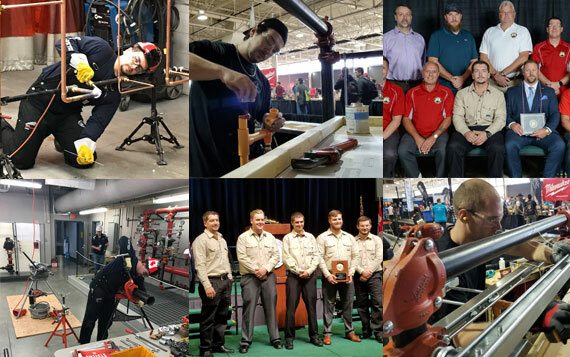 In Ontario, UA Local 853 is the only Training Delivery Agent (TDA) for sprinkler fitters designed by the MTCU (Ministry of Training, Colleges and Universities). This TDA tracks sprinkler fitter apprentices registered with the government and offers them the opportunity to attend their trade school. All registered Sprinkler & Fire Protection Installer apprentices not registered with the Ontario Sprinkler Industry JTAC (i.e. non-union) can request their apprenticeship training school dates by submitting their request to register@ualocal853.org. There is nothing posted at this moment. Note: UA Local 853 Members please sign-in to view the course details and/or sign-up for one of the above courses. Non-Members, please call the UA Local 853 office for more information about these upcoming courses. Working in the Industrial, Commercial, Institutional and Residential sectors our highly skilled tradesman provide their services and expertise in making Ontario a safe place to live. © 2019 UA Local 853 Training Centre. All rights reserved.